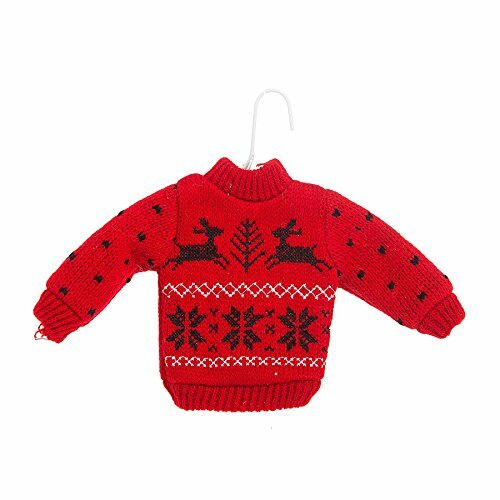 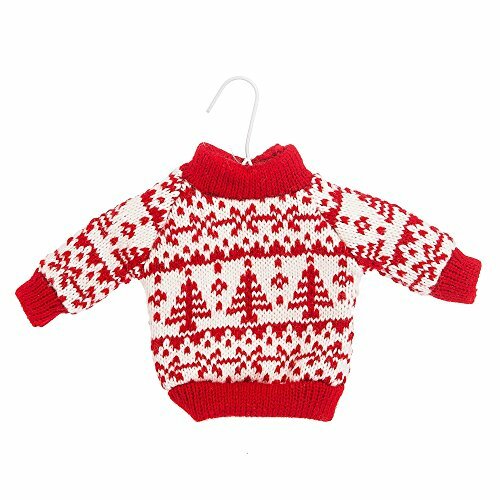 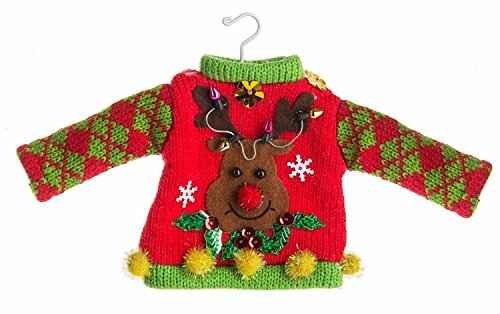 Whether you decide to host an ugly Christmas sweater party or not, you can still get into the tacky Christmas sweater spirit by wearing your own ugly Xmas sweaters and decorating your home or office with ugly Christmas sweater ornaments and figurines. 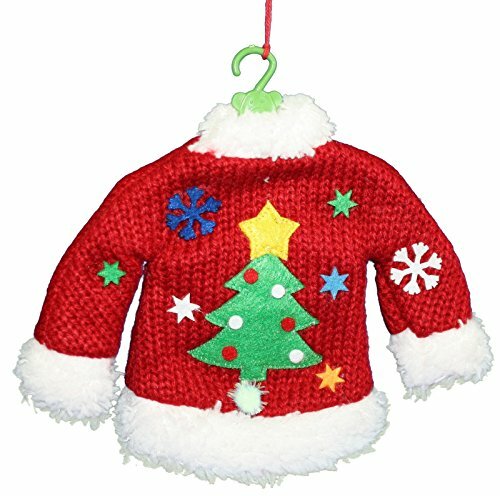 Department 56 ugly sweater decorations are really darling. 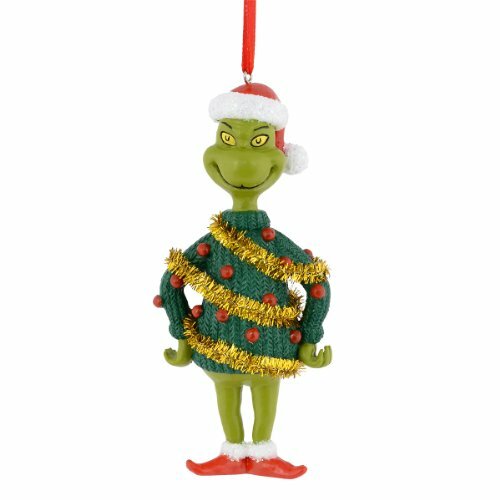 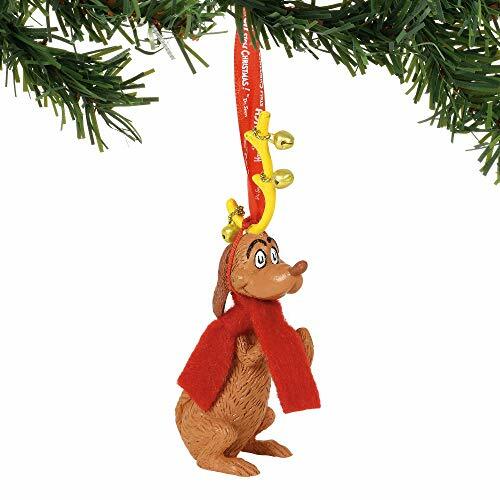 They have several ornaments that feature ugly sweaters including a series on the Grinch from Dr. Seuss. 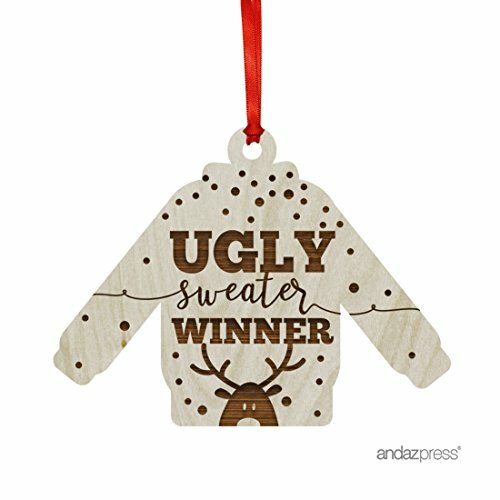 You can certainly decorate a tree with these ornaments to create a corner of your house that is devoted to ugly sweaters everywhere. 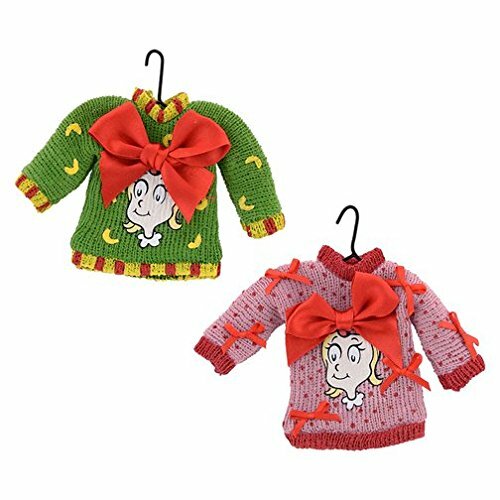 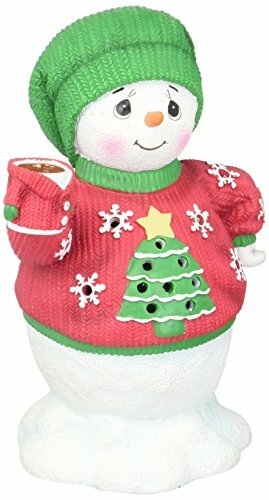 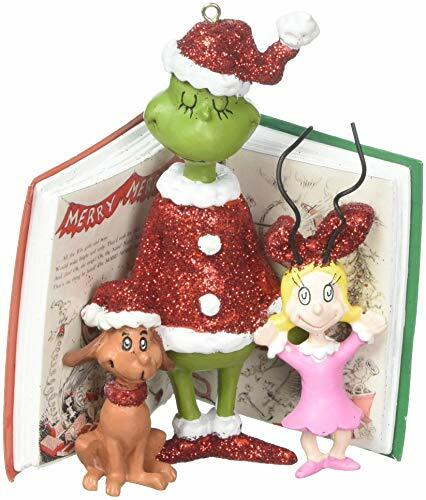 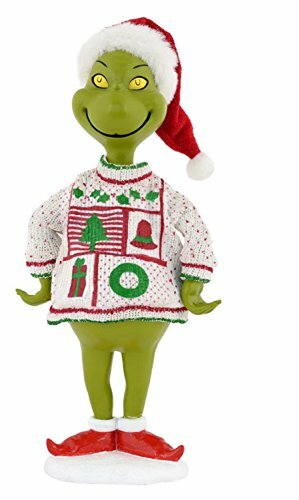 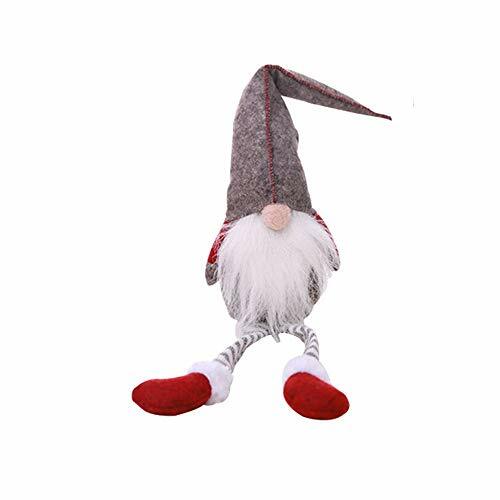 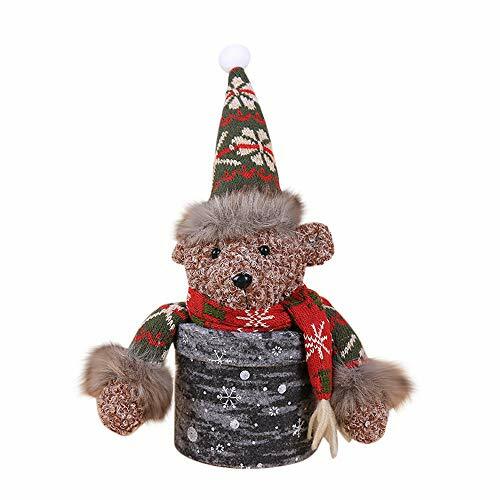 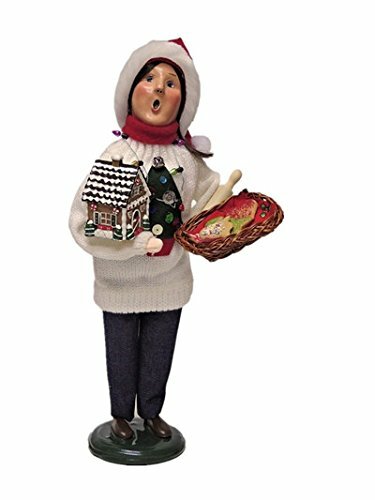 There are also several Department 56 ugly Christmas sweater figurines that would look cute as centerpieces on your tables or in vignettes on your fireplace mantel or on tabletops. 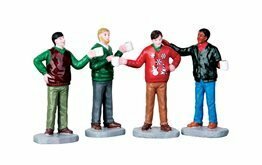 You can take a look at these figurines further down this page. 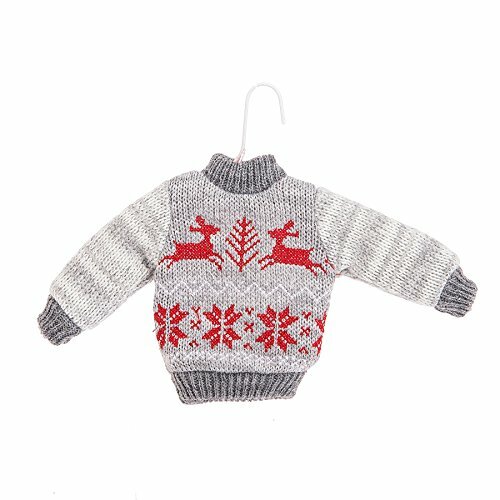 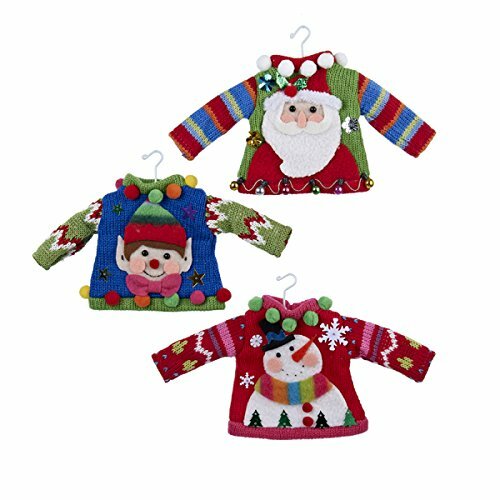 Besides Department 56, you can find a few other tacky Xmas sweater decorations from other companies which I have collected for you to look at here. 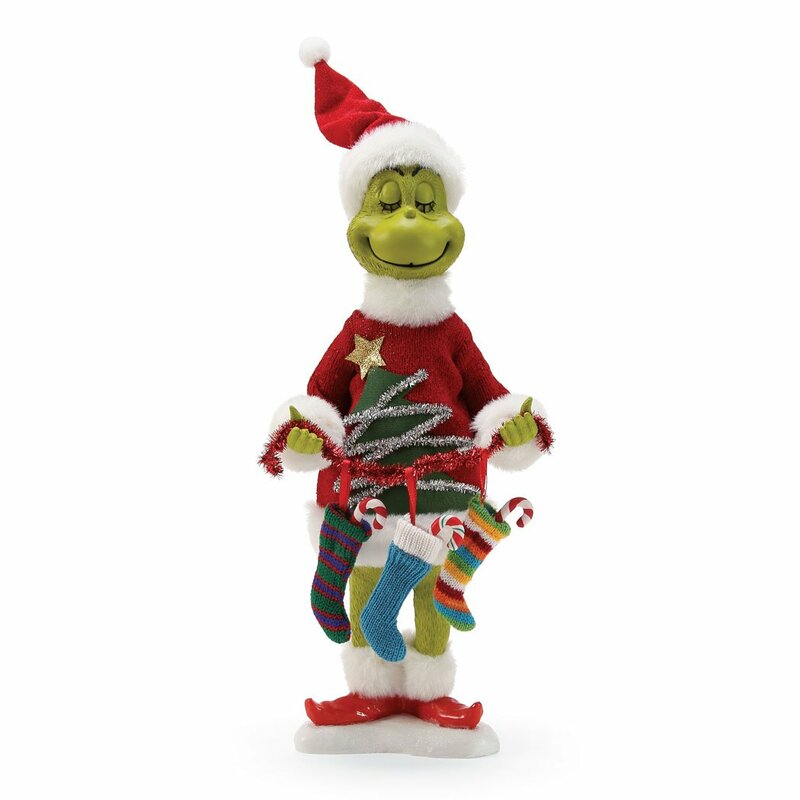 I think that the Grinch looks particularly good in his various ugly Christmas sweaters. 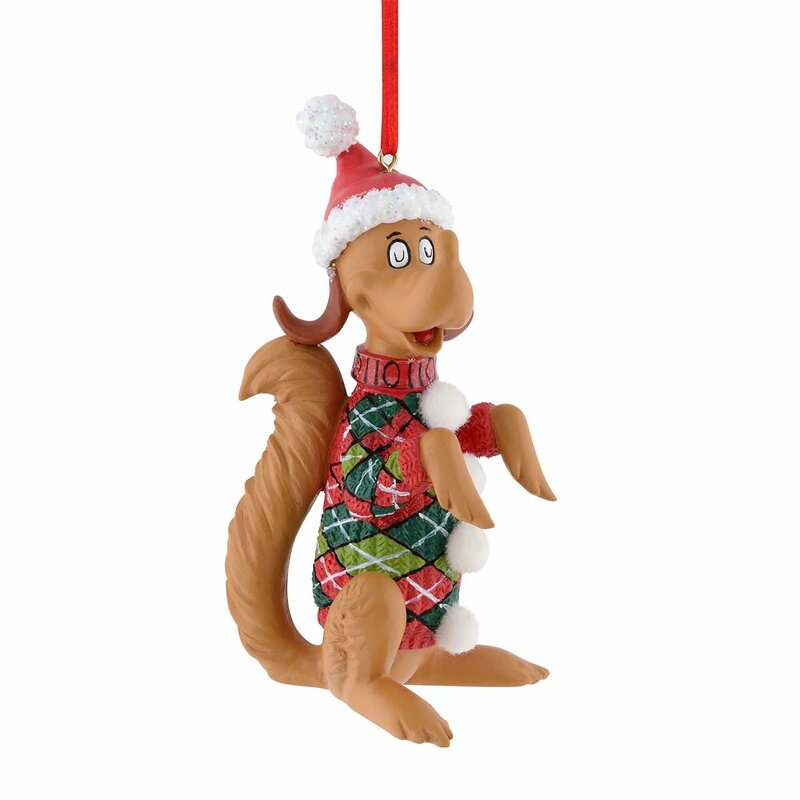 You can hang him on your tree to brighten it up. 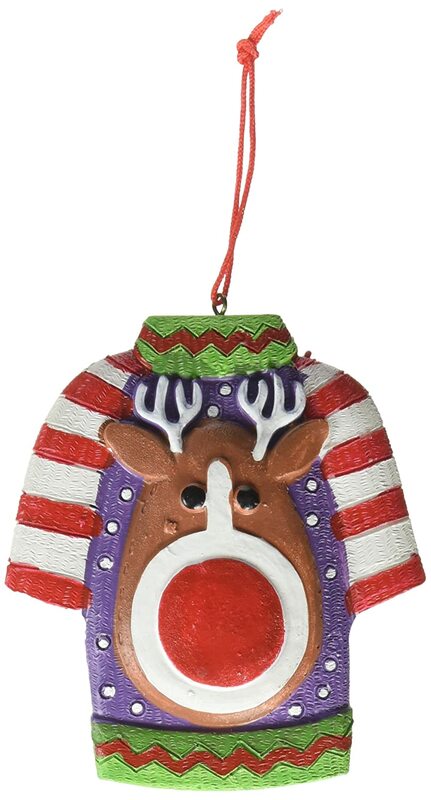 They would also look great on Christmas tree decorated by children or in a hospital setting. 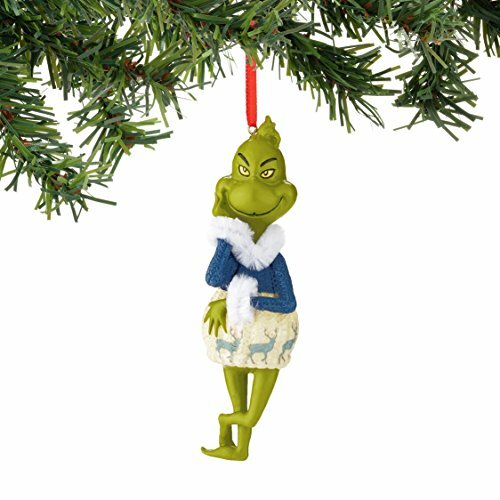 These ornaments must be after the Grinch’s heart grew because he is smiling. These Department 56 tacky Xmas sweater figurines are so cute, they almost aren’t tacky anymore. 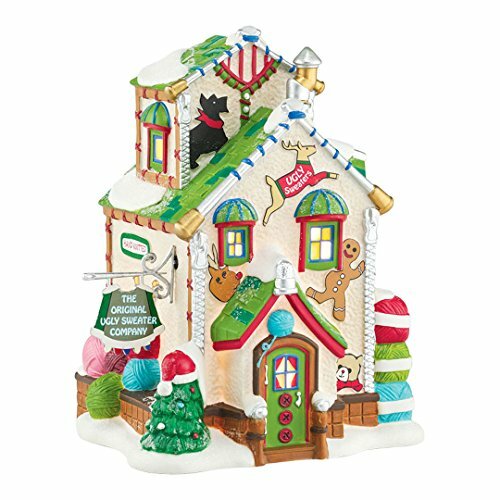 The most detailed is the North Pole Village Original Ugly Sweater Company building shown first. 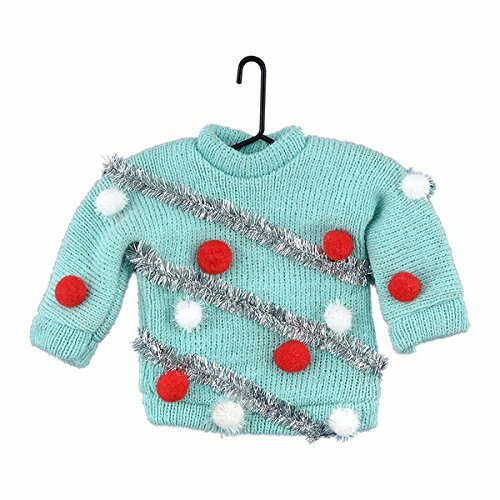 Click through to see a bigger picture to look at all the details. 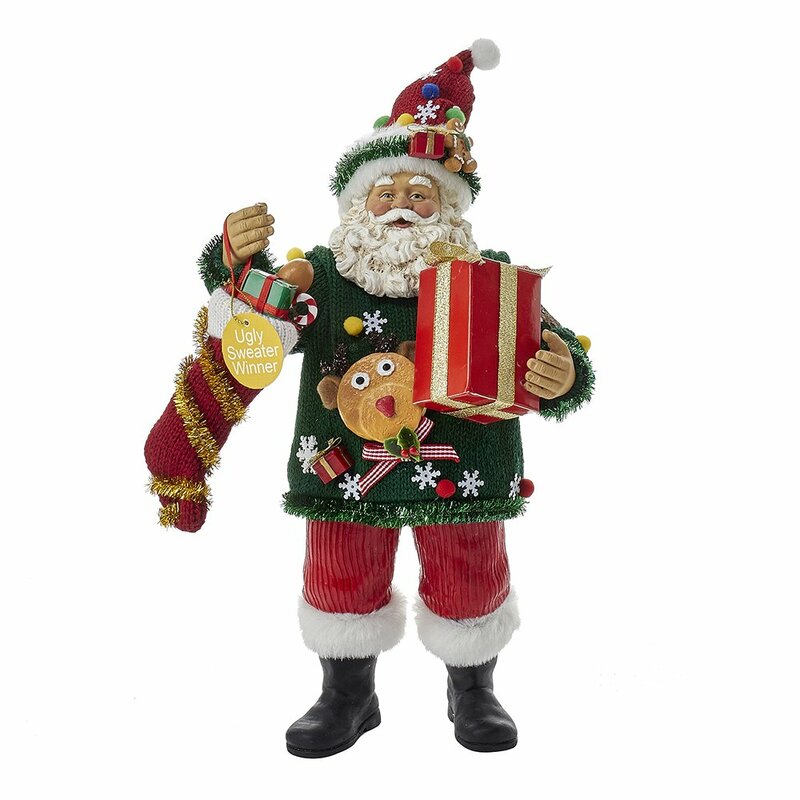 Even Santa and Mrs. Claus are getting in on the ugly sweater act as you can see below. 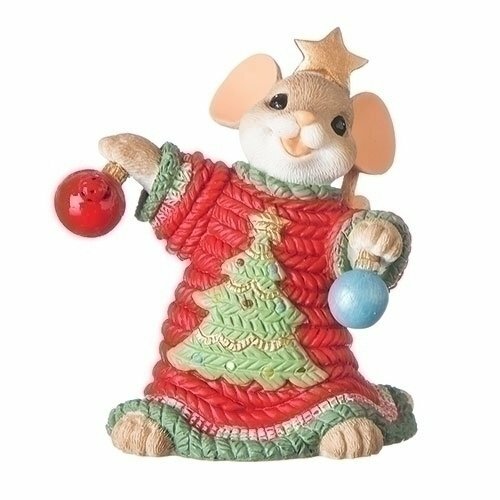 These ornaments are made by other companies, but they are pretty cute too. 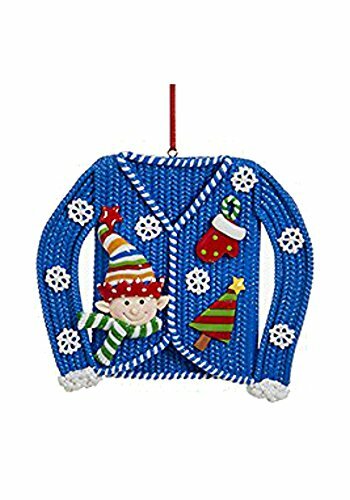 You can find some alternative ugly sweaters to hang around your home or office. 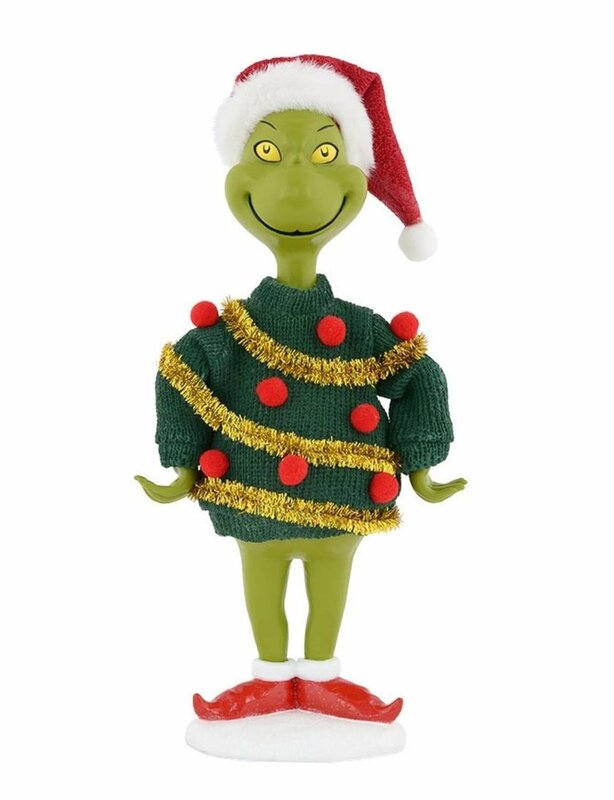 There are definitely enough to flesh out your tree. 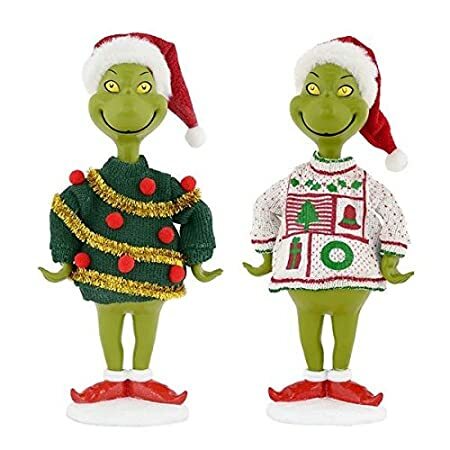 And here is a collection of other ugly Christmas sweater figurines for you to use in your decorating scheme. 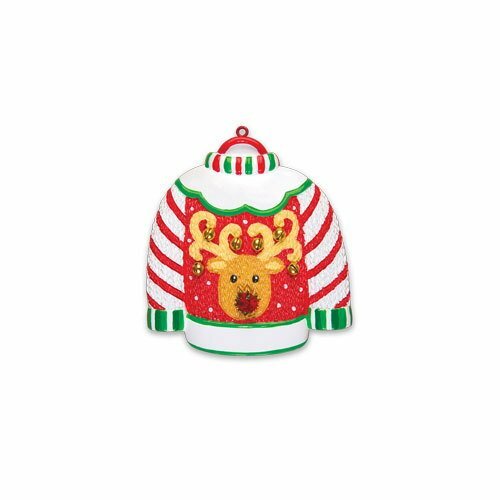 You can even dress up your silverware in Christmas sweater gear. 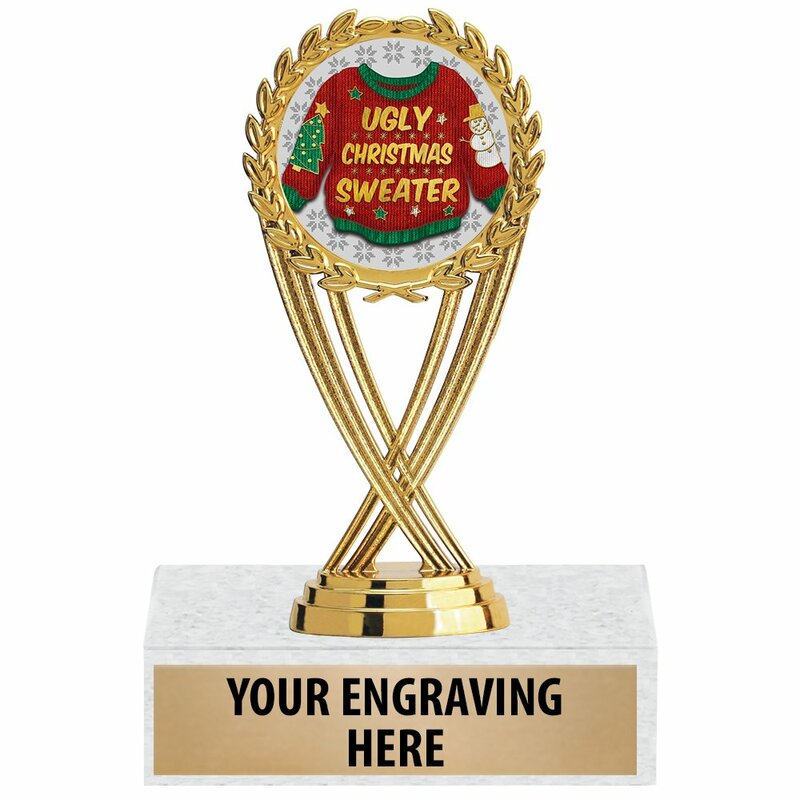 Silverware has never looked so good! 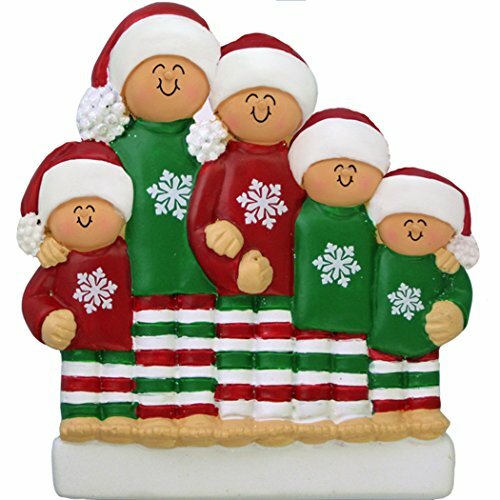 The Charming Tails figurines are really sweet, and would look terrific in a child’s room or a display in a school, hospital or children’s home.